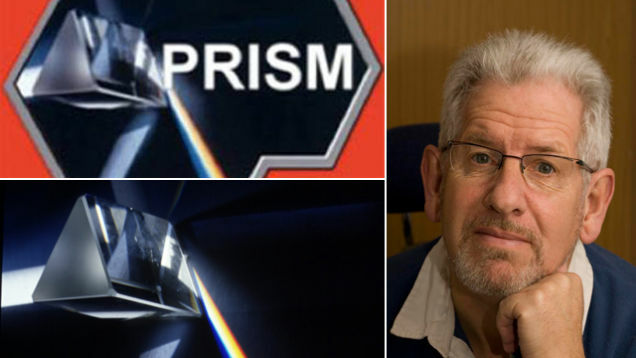 The logo for PRISM—the huge NSA data-mining operation revealed by The Guardian and The Washington Post on Thursday—features a photo by Adam Hart-Davis, a writer, photographer and television presenter in the UK. 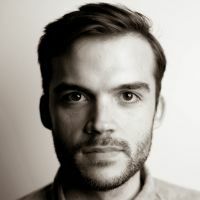 Hart-Davis, a "second cousin of David Cameron and distantly related to the Queen," has written dozens of popular science books and presented shows on science and nature. I emailed Hart-Davis to ask if he was aware that the NSA had used his photo, but he's currently on vacation (making it unlikely that he submitted a takedown request to Zazzle over these t-shirts). I also emailed his assistant, and will update this post if she gets back to me. You can find the original photo here, on Hart-Davis' website. For reference, here's the PRISM logo. Hart-Davis has been in the news lately for non-NSA related activities: Several BBC producers accused him of "inappropriate touching" and "sexual comments" last year. Hart said he was unaware of any warnings, and deeply regretful of the single incident he had been told about.